LEGO® Ultra Agents are on the case! Build futuristic trucks, cars, helicopters, planes and more as you embark on a series daring missions to stop the villains from taking over Astor City. Fire lasers, missiles and plasma cannons! Go undercover to gather intelligence! Hunt for clues and solve puzzles! Protect the civilians! And it’s not just LEGO Ultra Agents who are hi-tech, because a downloadable app lets you delve even deeper into the engaging tasks, thanks to a digital interactive graphic novel, augmented reality, exciting games and puzzles, plus profile building. 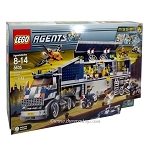 This is a BRAND NEW set of LEGO® Agents 8635 Mission 6: Mobile Command Center from 2008. This set is still factory sealed and the box is in very good condition with minor shelf wear. 1154 pieces and 7 minifigures©. 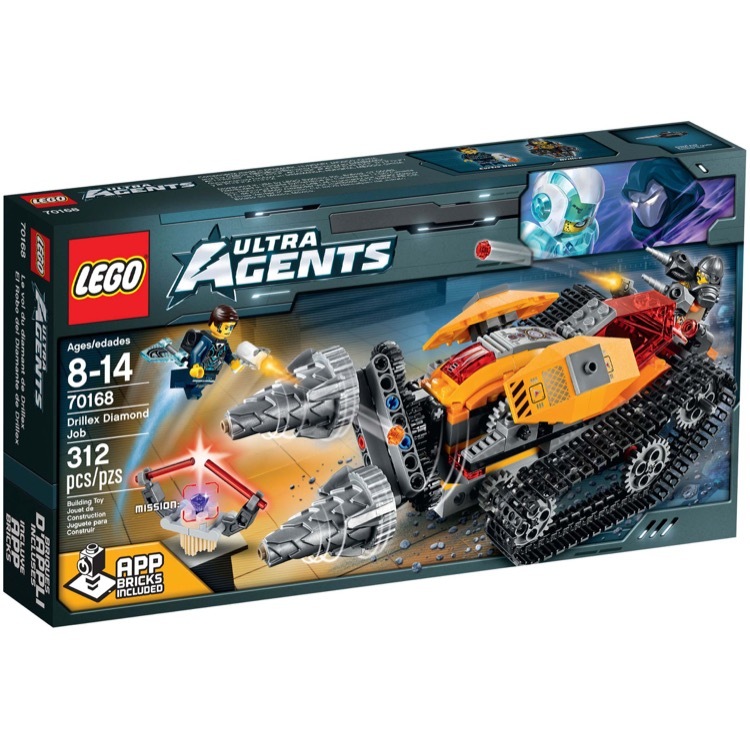 This is a BRAND NEW set of LEGO® Agents 8967 Gold Tooth's Getaway from 2009. This set is still factory sealed and the box is in very good condition with minor shelf wear. 68 pieces and 2 minifigures©. 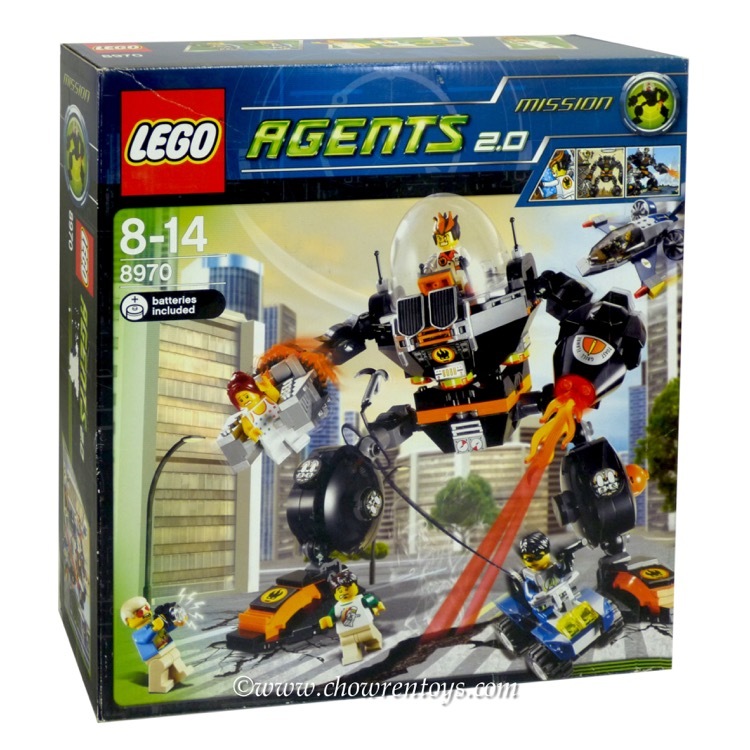 This is a BRAND NEW set of LEGO® Agents 8970 Robo Attack from 2009. This set is still factory sealed and the box is in very good condition with minor shelf wear. 414 pieces and 6 minifigures©. 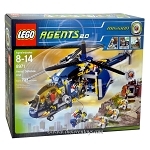 This is a BRAND NEW set of LEGO® Agents 8971 Aerial Defense Unit from 2009. This set is still factory sealed and the box is in very good condition with minor shelf wear. 733 pieces and 7 minifigures©. This is a BRAND NEW set of LEGO® Agents 8970 Robo Attack from 2009. This set is brand new, however the box you receive may have one or more of the following conditions; broken seal, crushed or punctured box, sticker damage, heavy creases, wrinkles, dents and shelf wear. Please see photos for details. 414 pieces and 6 minifigures©. 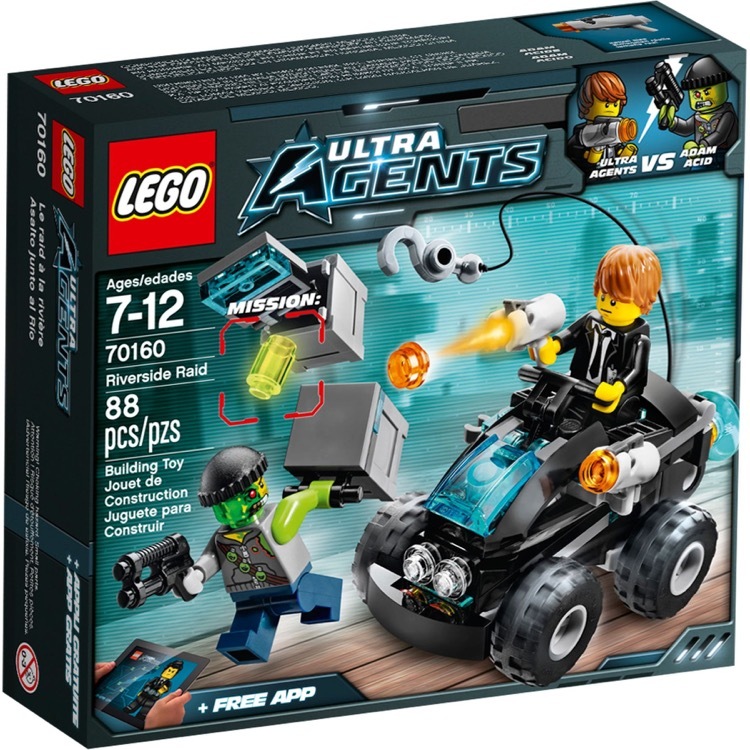 This is a BRAND NEW set of LEGO® Ultra Agents Sets: 70160 Riverside Raid from 2014. This set is still factory sealed and the box is in very good condition with minor shelf wear. 88 pieces and 2 minifigures©. 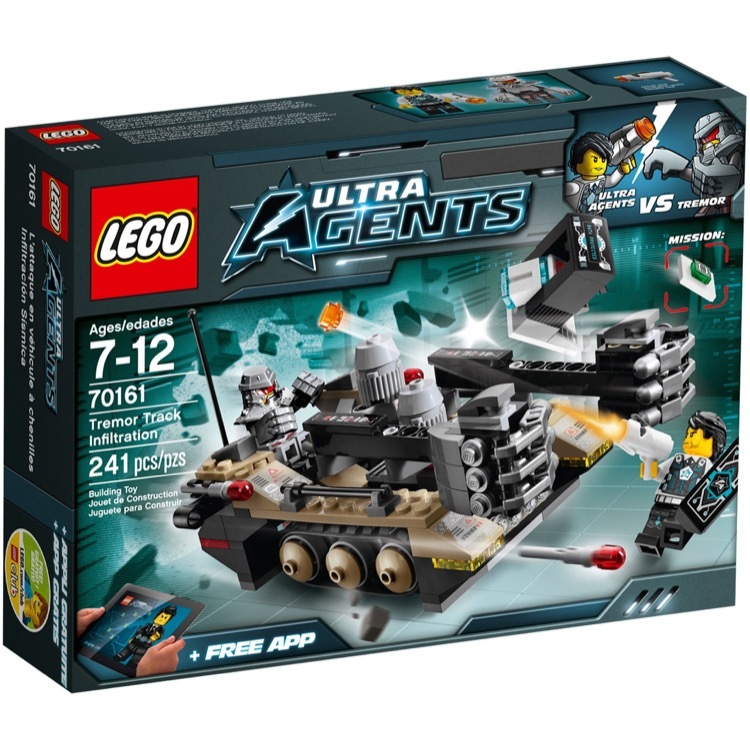 This is a BRAND NEW LEGO® Ultra Agents Sets: 70161 Tremor Track Infiltration from 2014. This set is still factory sealed and the box is in very good condition with minor shelf wear. 241 pieces and 2 minifigures©. This is a BRAND NEW LEGO® Ultra Agents Sets: 70163 Toxikita's Toxic Meltdown from 2014. This set is still factory sealed and the box is in very good condition with minor shelf wear. 429 pieces and 4 minifigures©. 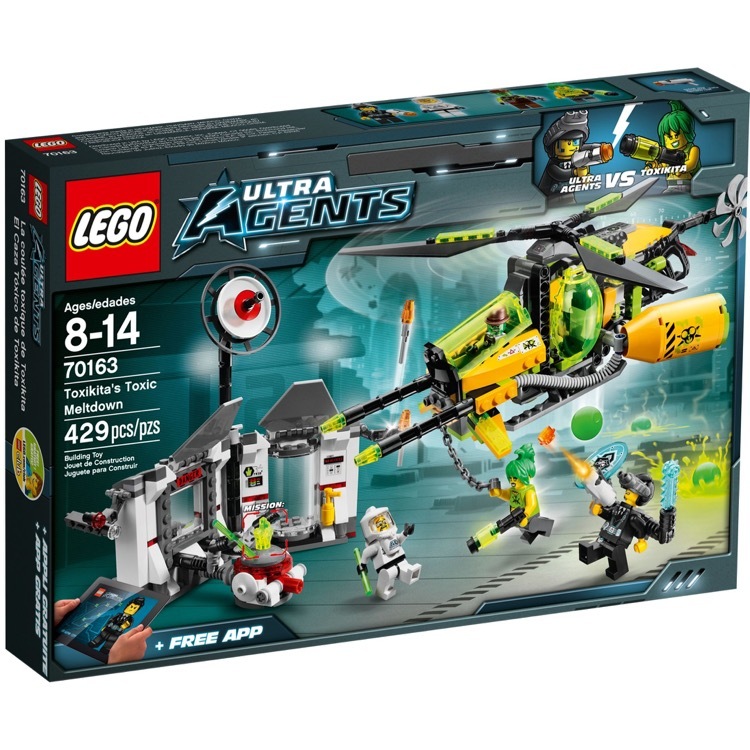 This is a BRAND NEW set of LEGO® Ultra Agents Sets: 70164 Hurricane Heist from 2014. This set is still factory sealed and the box is in very good condition with minor shelf wear. 589 pieces and 4 minifigures©. 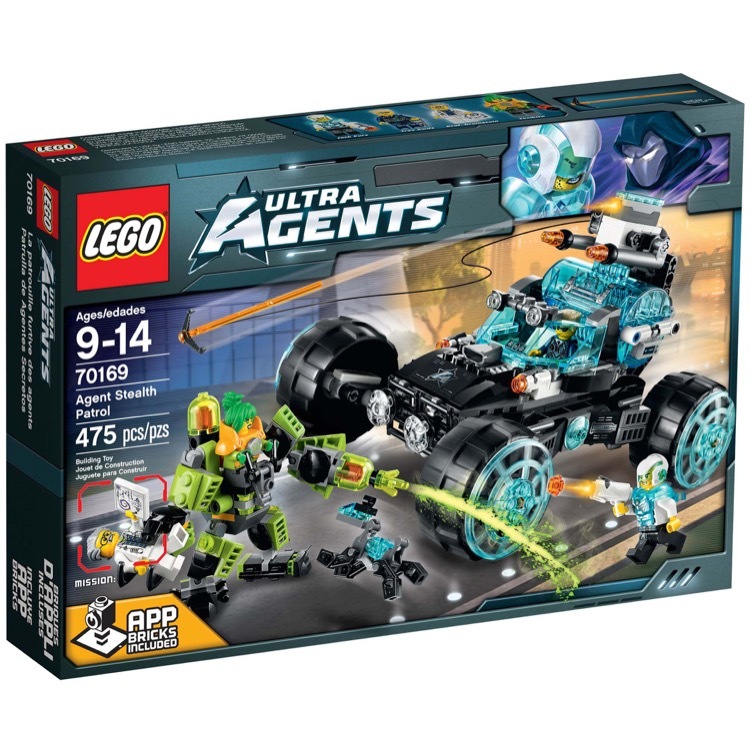 This is a BRAND NEW LEGO® Ultra Agents Sets: 70168 Drillex Diamond Job from 2015. This set is still factory sealed and the box is in very good condition with minor shelf wear. 312 pieces and 2 minifigures©. 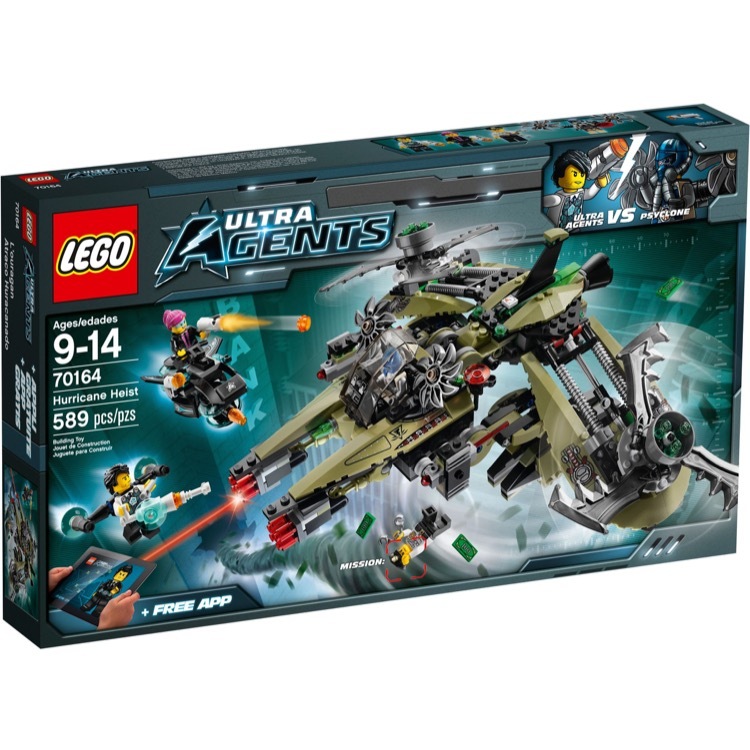 This is a BRAND NEW LEGO® Ultra Agents Sets: 70169 Agent Stealth Patrol from 2015. This set is still factory sealed and the box is in very good condition with minor shelf wear. 475 pieces and 4 minifigures©. 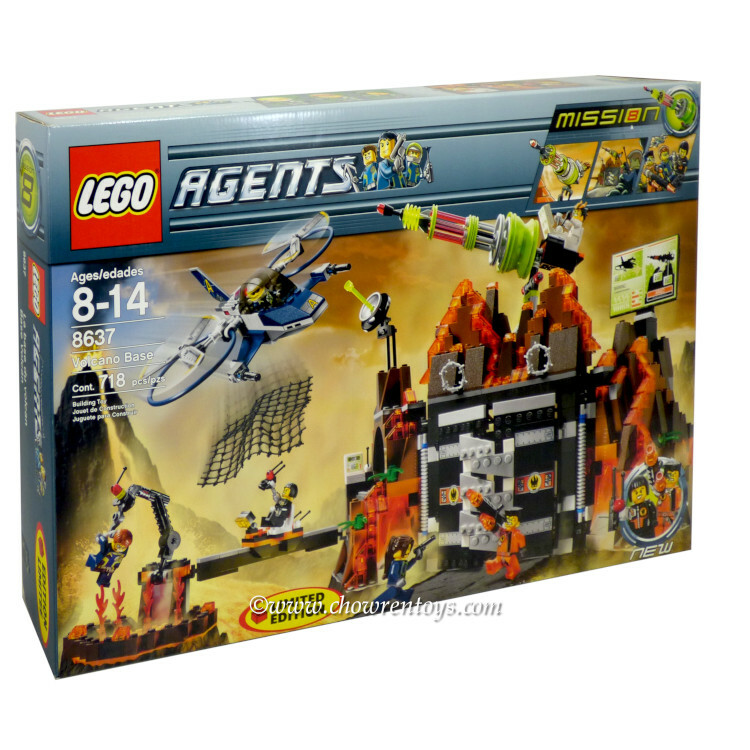 This is a BRAND NEW set of LEGO® Agents 8637 Volcano Base from 2008. This set is still factory sealed and the box is in very good conditionwith minor shelf wear. 718 pieces and 6 minifigures©.